Aries uses an advanced laser 3D Scanner for generating the As Built data. Our 3D scanner provides our Naval architects and Structural engineers with an efficient tool for rapid, seamless and precise documentation of the current status of any construction – offshore or onshore, ships, rigs, platforms, terminals, piping systems and structures of every kind. 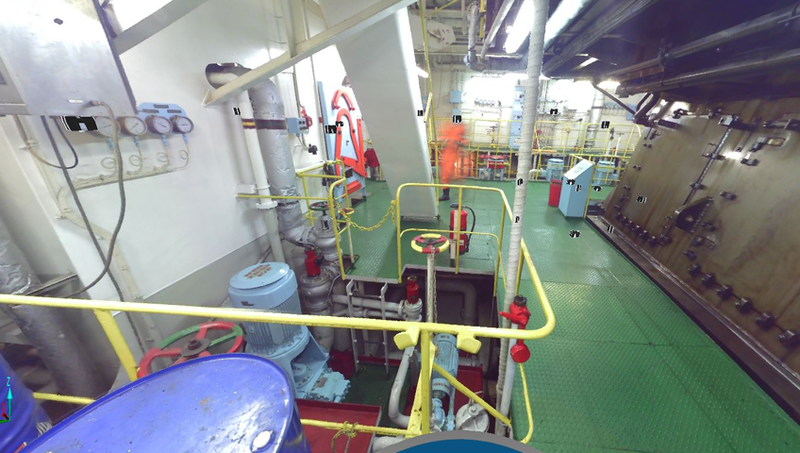 Irrespective of whether particular Ballast water treatment system has been selected, it is imperative to have the vessel’s Engine room area is the probable equipment location to be 3D scanned. This will enable the client to keep this required information ready for quick take-off as soon as a final decision on installation of the BWTS is taken. Aries Greenship Solutions using most advanced fast and accurate 3D	scanning equipment. The 3D scanning will be carried out by our team during sailing. identify fittings w r t system drawings onboard, so that as and when the owners take a decision on the make and type of BWTS, we will be in a position to complete the whole engineering tasks including drawings, schematics, 3D model and routing drawings. 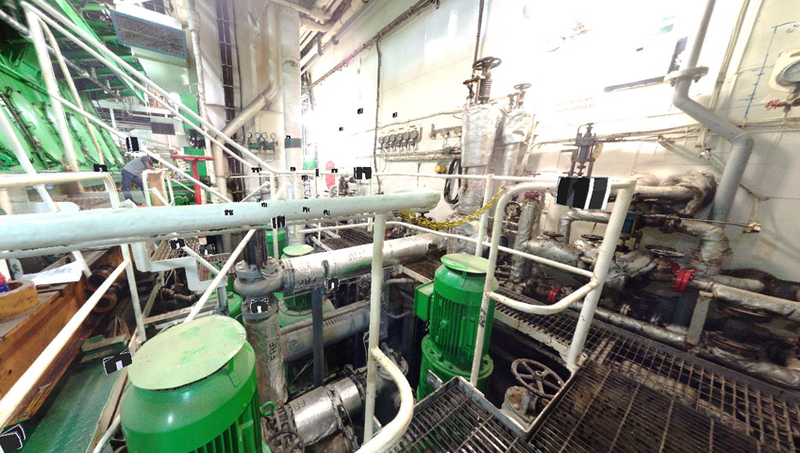 The scanned 3D data of the complete engine room of the vessel can be retained and saved, so that it can be utilized as and when the installation process is about to commence. Our engineers can board the vessel at any port and accomplish the task during its sailing.